So, a locale chocolatier held a short story contest recently. Actually, it was more of a flash fiction contest, but who am I to quibble with semantics? * ANYWAY, the catch of the contest was that the story could be no longer than 57 words (long story as to why). The prizes were decent enough that I decided to give it a go. I was not even a finalist. But I liked my entry. So I thought I’d share it with you. We have a problem, you and me. Actually, it’s more your problem. You see, I know you took the last chocolate chip cookie. And I know you hate to share. Before you sink your teeth in, I think there’s something you should know. *=I quibble with semantics all the time. It’s kinda my thing. First, I tag Jeramey Kraatz. Jeramey’s debut novel, THE CLOAK SOCIETY, is exactly the kind of book I would have been all over when I was that age. Largely because there was a very real chance I would have joined an organization of elite super villains when I was twelve if I’d had the chance. 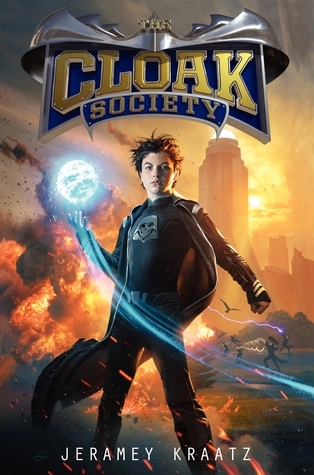 In the book, Alex Knight is training to be a full-fledged member of the Cloak Society so he can be just like his legendary super villain parents. But the opportunity to prove himself goes wonky when he ends up saving the life of a Ranger of Justice, the valiant do-gooders. And to make matters worse… he becomes friends with the girl he saves. Dun-dun-duuuuuun! Super fun book from a super cool guy. Next, I’m tagging Geoff Rodkey. 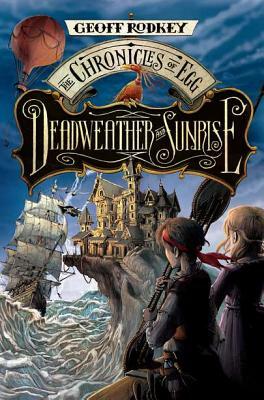 I snagged an ARC of his book THE CHRONICLES OF EGG: DEADWEATHER AND SUNRISE at ALA Midwinter earlier this year. It had a pretty cover and made promises about pirates. Now, I’ve never been a HUGE fan of pirates but I immediately became a HUGE fan of this book and Rodkey himself. DEADWEATHER AND SUNRISE is an amazing balance of humor and action that finds Egg, the titular main character, hiding in an archipelago of pirate-inhabited islands to avoid the assassins who inexplicably have it in for him. One of my favorite books of the year! And finally, I tag Kelly Barnhill. Full disclosure: I know Kelly IRL and she’s wonderful. Honest. 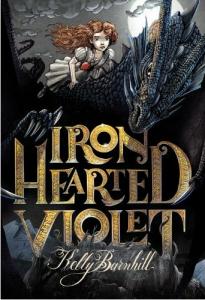 She first came on my radar with her debut book, THE MOSTLY TRUE STORY OF JACK but I’m here to talk about her recent release IRON HEARTED VIOLET. This is a book that truly turns the idea of princesses and storytelling on its head. Violet is not your typical princess. For starters, she’s not what some would call beautiful. But she loves a good story and it’s this love that sets the book in motion as Violet discovers how powerful a tales can be when she goes in search of a forbidden story. I can’t say enough good things about this book. Just read it. I promise you won’t regret it. OK, so this is the bit where I talk about MY next project. Oy. Honestly, I’m not sure what I can reveal about the next project. Where I think of VENGEKEEP as a quest book, I think of SHADOWHAND as a mystery. A number of ancient artifacts have been stolen from the High Laird’s vaults and the most likely culprits—the elite thieves known as the Shadowhands—are vanishing one by one. What happened to the artifacts? Who is responsible for the Shadowhands’ disappearance? And why is a group of nomads being blamed for the thefts? Naturally, our boy Jaxter finds himself embroiled in the mystery…and not necessarily by choice. No clue. Honestly, I’ve never given this much thought. Child actors grow so quickly that anyone I would pick now would be too old by the time a movie got made (if ever). Not a fun answer, I know. I’m a killjoy. It will be published by HarperCollins in Fall 2013. To what other books would you compare it? If you’ve read VENGEKEEP, there’s a revelation about someone in Jaxter’s life that is rather shocking and is something he has trouble coming to terms with. I can’t imagine going through school without a librarian. It’s unfathomable. Similarly, I can’t imagine a school not offering a band program or a choir. But every so often, I see in the news that a school has put these arts programs on the chopping blocks as a way to balance the budget. It hurts my heart every time I hear that someone thinks these programs are expendable. In theory, you can’t teach every subject imaginable. So a small part of me accepted that some schools—thankfully not all—merely chose to focus on strengthening other programs and allow other schools to offer strong band/choir/arts programs. Distasteful, but I could accept that. But a school without a librarian? Will we be getting rid of the teachers next? Because every librarian I had growing up was a teacher, whether in name or not. 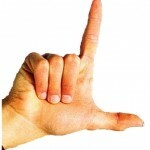 How is it even possible to have a school without this invaluable resource? Yet I keep hearing more and more about how librarians (and libraries) are being cut from the budgets of elementary, middle, and high schools. Miss Gronski—You always remember your first. And Miss Gronski was mine. She managed the Grant library while I was in kindergarten and first grade. I swear she had ESP and knew exactly what to give me. From her, I got the book about the seven Chinese brothers, identical in every way except for their unique abilities. I remember feeling bad as the first brother held the ocean in his mouth while a boy ran about collecting seashells and how guilty he must have felt when he had to release the ocean and the boy drowned. Miss Gronski put that book in my hand. How she knew it would stick with me after all these years, I’ll never know. She left Grant to work in the children’s section of the public library in Wisconsin Rapids. So I still got to see her from time to time and she still remembered me. Miss Bell—A bit older in junior high, Miss Bell was the first librarian I realized was also a person. (I know. Quite the revelation, right?) When we did a unit on the civil war in history, she came to class with her guitar and taught us songs from the era. A librarian who knew stuff about things other than books! She was also the one who introduced me to weird books, like Daniel PInkwater (The Snarkout Boys and the Avocado of Death, FTW!). She might very well be to blame for my attraction to unusual books that I harbor to this very day. Miss Cicely—Now, Miss Cicely was a bit different than the other librarians. I didn’t have quite the…relationship I had with the others. But it was high school and I was doing things like growing and stuff. But I remember her. She was strict (“Two to a table” was her mantra when it came to people using the library to study and it was always enforced) but sharp as a tack. If you started describing what you were looking for, she knew exactly what it was before you were finished. Honestly, I don’t think she knew me from Adam. But she made an impression on me. Cut out the librarians? You’d be cutting out a very important part of my life.